Here at Marshmill we undertook the complete re-roof of one of our client’s industrial units. As you can see from the images (taken by us) the roof was in a poor state for repair and it made more economical sense to undertake a full re-roof. Before the works could commence we hired and managed a netting company to provide a safety system for our men whilst working on the roof. Throughout the works we had to liaise with our client’s tenants to gain access to the units to move stock to avoid any damages and to install the safety system. We also had to ensure that no one was working in the area below the area of roof that we were currently working on and therefore effective communication was key throughout this project. Once finished we helped our client to draft an effective maintenance programme for the roof to ensure extended roof life. 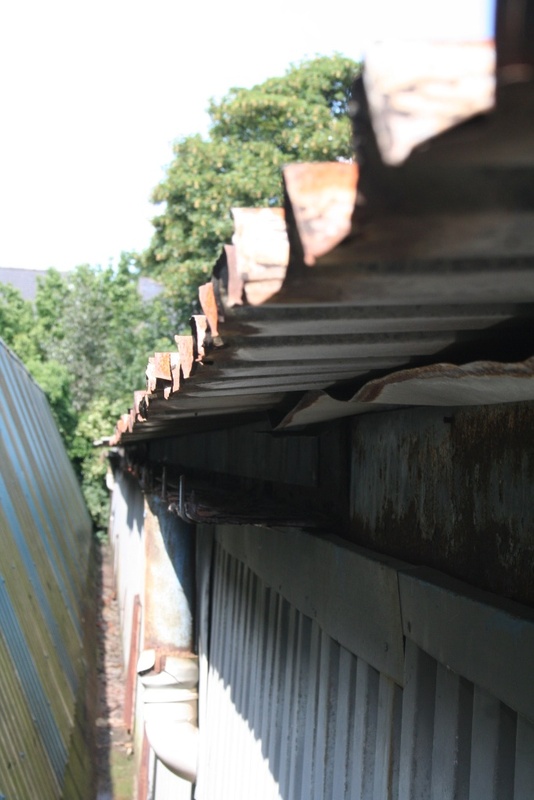 Metal roofs should be checked for corrosion and loose, bent, or damaged panels, while the seams should be checked for uniformity and water-tightness. This roof is still in situ with all the originally installed components, there have been no further roof leaks and we are happy to continue to maintain this roof under our 10 years warranty!